Can a collection company call multiple times per day? Can a creditor really increase your interest rate if you cannot pay your bills? If you have a question about debt collection, credit reporting, or any other issues related to consumer law, our FAQ section might provide the answer you need right now. If it doesn't, contact us using the contact form or the toll-free number and we'll answer it for you within 24 hours! Will filing a dispute with a credit bureau hurt my credit score? You have followed my—and everybody else’s—advice and checked your credit reports from Equifax, Experian, and TransUnion. Congratulations! That’s a great first step. The problem is, you have found an error on one or more of them and are reluctant to file a dispute because you’re worried that making waves might affect your credit score. I find that the best antidote to worry is information. Read on to find out how a dispute could affect your score. One reason people worry about doing something to lower their credit score is that they don’t understand what the score is. It’s a powerful number, but it’s a mystery to many of us. We know that a low credit score can affect our ability to get a loan or rent an apartment and can raise the interest rates we get when we are approved for a loan, but that’s about all we know. 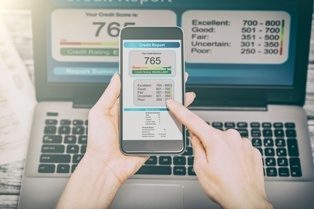 Here’s a quick explanation: the credit score you see on your Equifax, Experian, or TransUnion credit report is calculated by applying a formula developed by the credit bureaus to your credit history, which includes your available credit, payment history, credit balances, and other factors. The better your history with credit is, the higher your score will be. The reason you should be checking your reports every year is that there are often mistakes and inconsistencies on them. Some mistakes are minor—a previous address is incorrect, or there is a strange phone number listed. But there can also be accounts that are not yours, payments reported as missed when they were paid on time, and old debt that should have been removed. When you see a mistake—whether it is minor or major—you should file a dispute with the credit bureau. Instructions for doing this are on each bureau’s website. Simply informing a bureau that there is a mistake on your report will not affect your score, so this should not dissuade you from filing a report. In fact, it’s important that you get the misinformation corrected or removed so that it doesn’t affect your score down the road. If you are correcting identification or contact information, the change will not affect your score. However, if you successfully get harmful information removed, your score may go up. 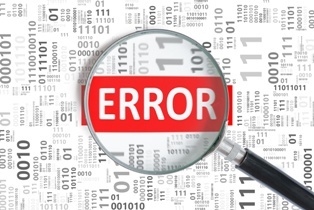 Really, you have nothing to lose by disputing an error on your report. When you file a dispute with a credit bureau, they have a limited amount of time to respond and take action. If you have taken all the required steps to communicate with them and they have failed to respond, you may have cause to sue for damages. If you have reached the end of your rope with a credit bureau, call me to discuss your options. I help Californians exercise their consumer rights. What is the right way to dispute a credit report error? We all know there is a right way and a wrong way to do everything. 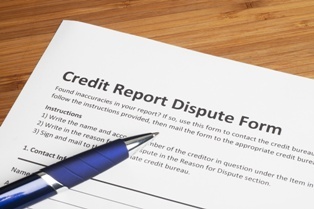 Disputing an error on your credit report is no exception. You can protect a possible lawsuit against the credit reporting agency when you file a dispute the right way the first time. Under the Fair Credit Reporting Act and California law, you have a right to an accurate credit report, and credit reporting agencies are required to investigate all disputes. However, unless you take certain steps when filing your dispute, you may jeopardize your consumer rights. Even if the mistake is actually the fault of a creditor, you will have to inform the credit reporting agency of the mistake, not just the furnisher of the false information. While it is not illegal for a credit bureau to report inaccurate information, it is illegal for them not to investigate your dispute. 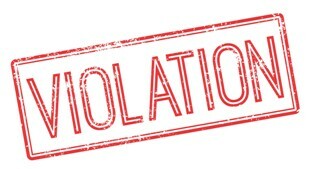 If you are claiming that a credit reporting agency failed to investigate your dispute, you will have to provide documents to prove that you reported it and you will need evidence of the harm the error has caused you. Make copies of everything you send to the credit bureau, send everything by certified mail, and keep any documents that show that the error on your report has cost you, such as denials of credit, increasing interest rates, etc. The strongest claims against credit bureaus are detailed and provide evidence. There is very little room on online dispute forms to do this. Instead, mail a letter that details how the information on the report is wrong and include evidence that proves the mistake. Keep a copy of all of this and send it by certified mail so you have a receipt. Call An Experienced Credit Reporting Error Attorney! Who has the time to deal with all of this? I do, that’s who! I know you’re busy and finding the time to track down evidence, write a detailed letter, etc. can be impossible. When you contact me, however, I will guide you through the process—at no cost to you! I know it’s hard to believe, but I will help you make those errors go away and may even be able to get you compensation, and I won’t charge you a thing. My fee comes if and when I successfully sue a credit reporting agency on your behalf—and not before. Learn more about how this works here, then contact me online or, better yet, call me directly at 855.982.2400! What if Experian (or Equifax or TransUnion) won’t fix my credit report? Sue them! Well, maybe that’s not the first step, but it may be where you’re headed if you can’t get the credit reporting agency (CRA) to fix their mistakes. After all, those mistakes could be costing you more than you know. And if you’re applying for a mortgage to buy your first house, errors on your credit report could mean a higher interest rate or an outright rejection. So, what can you do? I’ll tell you! Dig up some new evidence and dispute it again. If you keep providing the same reasons when you dispute something on your credit report, the CRA might decide you are being frivolous and refuse to investigate. Track down a pay-off notice, cancellation receipt, or some other proof and send that with your dispute. If it was the creditor who provided the incorrect information to the CRA, you have to dispute the error with them, not the CRA. Send your proof to the information provider and, if they confirm that you are correct, they have to give the correct information to the CRA. File complaints—and let the CRA know you did. Complain to the California Attorney General’s office, the Federal Trade Commission, and the Consumer Financial Protection Bureau. When these offices get enough complaints, they will go after the CRA themselves. If you’ve tried all of this multiple times and your report has not been corrected, you have a right to sue the CRA for damages. This is where the copies of every letter you sent and recordings of phone calls will become very important (you did keep copies of everything, right?) People have won millions of dollars by suing CRAs, but you will generally get a few hundred dollars in addition to any actual monetary losses you can show. Sound tricky? It is. That’s why you need my help. If you are not getting any satisfaction in your attempts to fix a credit report, contact me online or call me directly at 855.982.2400 to see if I can help. If the CRA has failed to investigate a legitimate dispute, they could owe you big time, but you won’t know if you don’t try. If my FCRA rights have been violated, who can I sue and what can I get? Great question! In other words, is it worth your time and effort to go after the CRA, information furnisher, or information user who violated your rights? I say yes, and I’ll tell you why. First, Who Can You Sue? CRA. This stands for Credit Reporting Agency and it refers to the three agencies that collect financial information about you—Equifax, Experian, and TransUnion. If a CRA grants access to your report to an unauthorized party, fails to remove old data, or violates any other provision of the FCRA, they can be sued. Information furnishers. These are the banks, creditors, lenders, and collection agencies that give the CRAs information about you. If they provide inaccurate or private information, they may be liable for damages. Information users. 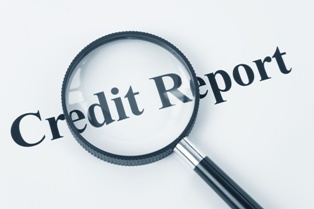 Landlords, creditors, and employers use information from your credit report to make important decisions about you. If they violate your rights in any way, they may have to pay you damages. Once I figure out where the violation occurred, I will know who to go after. What Can You Collect Under The Fair Reporting Act? Actual damages. This is a dollar amount you can prove you have lost as a direct result of the violation. There is no limit to these damages. Statutory damages. These can total anywhere from $100 to $1000, depending on the violation. You do not have to prove that you suffered losses to sue for these damages, you just have to show that the violation occurred. Punitive damages. If a violator acted willfully and in an egregious manner, a judge may order him to pay punitive damages of any amount. Attorney’s fees. Yes, you read that right! If I prove there was a violation, the liable party has to pay my fees, too. YOU PAY ME NOTHING OUT OF YOUR OWN POCKET! So, What Should You Do First If Your FCRA Rights Have Been Violated? That’s an easy question. The first thing you should do is contact me to help you determine if there has been a violation and what to do next. These laws exist for a reason and it is worth pursuing the violators of the law—not only because you can get back the money you lost—and then some—but because it holds these parties responsible for abusing the law. Call me at 855.982.2400 to get started! Who can request a copy of my credit report? Anyone can ask for a copy of your credit report, but not everyone can get it! Thanks to the Fair Credit Reporting Act (FCRA), only entities with a legitimate need for the information contained on your report will be granted access. So who needs the information? This means that credit card companies, banks, mortgage lenders, landlords, insurance agents, and government agencies can all request and receive a copy of your credit report. Employers may also get a copy of your credit report for the purposes of prospective employment, promotion, reassignment, or retention in your current job, but you must provide written consent before they will be able to get it. A credit reporting agency may also send out your credit report in response to a court order, subpoena, or for a child support issue. Also, with your written permission, your credit report can be sent to anyone you want to send it to. One thing that surprises people is that your credit report information will also be released to creditors or insurers who are looking to market their services to trustworthy borrowers. If you have a decent credit history, you have probably gotten these “prescreened” or “preapproved” offers for credit cards or insurance policies in the mail. If this makes you uncomfortable—and it probably should—you can opt out of this service by visiting the Opt-Out website. Is There Anything You Can Do To Stop Organizatons From Reviewing Your Credit Report? There is nothing you can do to stop legitimate organizations from accessing your credit report, especially if you are seeking credit. However, you can keep track of who is requesting the information and make sure the information they are getting is accurate by annually reviewing your credit reports. If you are having trouble with debt collectors or unapproved businesses reviewing your credit report contact me online or call me directly at 415.802.0137. How long will bad credit mistakes stay on my credit report? Maybe you racked up credit card debt in college. Maybe you declared bankruptcy during a rough patch in your 20s. Whatever your credit mistake was, you are in a much better place now. You pay your credit card balances, have money in the bank, and have a stable job. Why, then, is your credit score still lower than you think it should be? I have bad news for you—it may be because some of your past mistakes are still on your credit report. In fact, most negative information stays on your report for seven years. Unpaid credit accounts. Any account you had that you failed to pay will remain on your report for seven years from the date the account first became past due. Late-payment history. If you had a credit account that you regularly paid late, a record of this will remain on your report for seven years. For revolving debt or installment debt, late payments may stay for 10 years. Collection accounts. If a past-due account is taken over by a collection agency and you do not pay them, a record of that will remain on your report for seven years from the date the collection account first became past due. Court judgments. If you were ordered by the court to pay a debt, that judgement will stay on your credit report for seven years, even if you paid it. Paid tax liens. If the government issued a lien on your property for unpaid taxes and you paid it, a record of this will remain for seven years. Unpaid tax liens. If you did not pay the tax lien, that will remain on your report indefinitely. Chapter 7 or non-discharged Chapter 11 bankruptcy. As a serious financial mistake, bankruptcy proceedings will remain on your record for 10 years. Discharged Chapter 11 bankruptcy. Once you have successfully discharged a Chapter 11 proceeding, it will remain on your record for seven years. Inquiries. Most inquiries from lenders or credit promotors do not affect your credit score, but will remain on your report for up to 12 months. Your own inquiries will remain for two years, but again, do not have a negative effect. Paid credit accounts do not have a negative effect on your credit rating, but remain on your credit report for up to 10 years from the date of last activity. As I explain elsewhere on this site, the Fair Credit Reporting Act protects consumers from having false information on their credit reports. It also protects consumers from having negative information on their reports longer than it should be. If you are having problems getting bad information removed from one or more of your credit reports, contact me online for help. I have do-it-yourself tools and provide legal back-up if those fail! You can also call me directly at 415.802.0137 and I will do my best to make things right. I am waiting for your call! Wise consumers take advantage of their annual free credit reports to review the information they contain. 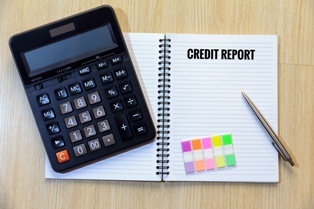 Because loan approval, insurance rates, and job applications can depend on a clean credit report, it is important that you know what’s on your report each year and take steps to remove any inaccurate information. We explain how to do that here. Your credit report contains important and sensitive information, including your address, whether you pay your bills on time, whether you have been sued or arrested, and whether you have filed for bankruptcy. It also lists credit accounts you have—both active and closed. Often the first indication you have that your identity has been stolen is seeing unfamiliar information on your credit report. If someone has opened a credit card account in your name, it will appear on your credit report. 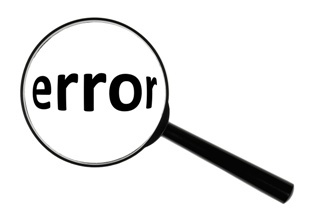 If you find that your report has incorrect or unfamiliar information on it, you should take steps to correct it. Send a letter to the credit reporting agency (CRA) telling them what information is incorrect. Send copies of any documents that support your claim. The CRA must investigate your claim within 30 days and inform you of their decision when the investigation is complete. Inform the furnisher of the information to the CRA that the information is false. CRAs do not create the information on your report. Instead, they receive information about you from credit card companies, insurance agencies, individuals, and law enforcement. If one of these entities has provided false information, they should be informed. Both the CRA and the furnisher of information are required by law to remove or correct false information. If you do not get results following your dispute letter, contact the experienced consumer attorneys at the Cardoza Law Corporation. Not only will we fight to clear your report, but we will also sue for damages. Contact us online or call us directly at 855.982.2400 today for your free consultation. My credit report dispute was denied - now what? It's not over. There are more steps you can take to correct your credit report. You May Be Entitled To Sue For Correction Of Your Credit Report And For Compensation! Let me tell you why and how. The dispute wasn't appropriately worded and documented. The credit burueas didn't do the investigation that they're supposed to do. 2. Next, if your dispute from #1 above gets denied, request a Free Case Evaluation to see if you're entitled to sue in court for correction of your report and possibly for compensation. I practice exactly this type of law and, in virtually all of these cases, will represent you for no-money down (sometimes a client pays for costs). If you're interested in WHY and HOW these things happen, you should also read "How to Fix Your Credit Report Dispute Denial". Should I Pay a Credit Repair Company? Here are some secrets you need to know before you put your faith in a credit repair company. Credit Repair Companies Have A Financial Incentive To Keep You On Their Plan. These companies often charge an up-front "set up" fee followed by a monthly fee that can range anywhere from $90 to over $300. Since they essentially get paid for making an effort every month - and not by the results they get you - their incentive is to keep "trying" for as many months as possible. This is known in the business as doing multiple "rounds" of disputing. Credit Repair Companies Often Send Blanket Generic Disputes To Prove Their Worth. These companies like to send basic disputes regarding anything remotely negative found on your credit report in hopes that something is bound to stick. Most of the time, it doesnt. At worst, your disputes get classified as "frivolous" by the credit bureaus and they stop paying attention to your legitimate complaints! Correcting Legitimate Errors On Your Credit Report Gets Overlooked By The Frivolous Disputes Filed By Your Credit Repair Company. And once your dispute is classified as frivolous, it's much harder to get a credit bureau to pay attention to your legitmate complaint. There Is An Alternative To Using A Credit Repair Company. Get help with your legitimate credit reporting errors for free from a proven attorney who has designed a process that not only creates disputes most likely to get your error corrected or deleted, it sets up what could become a great legal case against the credit bureaus should they fail to do the right thing! Feel free to contact me online or call me directly at 415.802.0137 for a free consultation.